This item has been discontinued by the manufacturer. There are similar models available here. 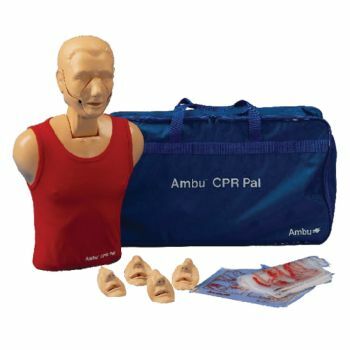 The Ambu CPR Pal is lightweight and can easily be stored or transported. 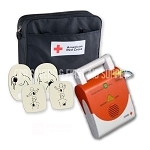 The complete unit is delivered in a carrying bag where all necessary accessories can find a place. Like all Ambu BLS manikins, the Ambu CPR Pal has the patented hygienic system that eliminates the risk of cross infections. All trainees receive their own face piece and head bag for the training. At the end of the training, the face piece can be cleaned and head bag is discarded. A truly 100% hygienic way of training. Just as in real life the airway open only when the head is properly hyper extended. Stomach inflation indicated by a whistling sound.